At 15, Chance Fortunato has seen more evil than most people ever will. 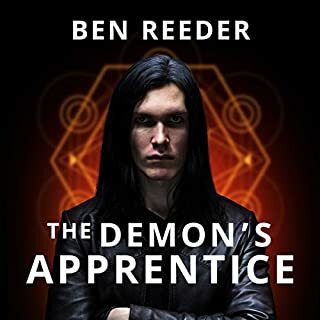 Indentured by his father to the demon count Dulka, he's been taught dark magic and forced to do his infernal master's dirty work for eight years. But now Chance has figured out a way to defeat his master and free himself. His new life with his mother and sister is far from easy, and freedom has its own perils. Normal life is hard enough, but even in a mundane-looking high school, there are paranormal threats from both sides of the mystical fence. 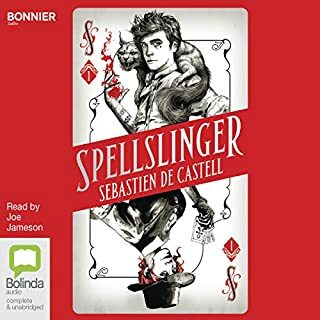 Gabriel Delling might call himself a professional con artist, but when walking superstitions start trying to bite his face off, his charm is shockingly unhelpful. It turns out living nightmares almost never appreciate a good joke. 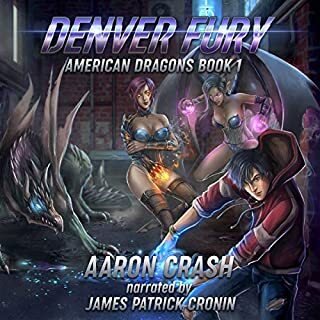 Together with a succubus who insists on constantly saving his life, Gabe desperately tries to survive a new reality that suddenly features demons, legends, and a giant locust named Dale - all of whom pretty much hate his guts. And when an ancient horror comes hunting for the spirit locked in his head, Gabe finds himself faced with the excruciating choice between death...or becoming some kind of freaking hero. Took a sharp turn into stupid typical self sacrificing hero decisions in the last few hours filled with angst and tears from the MC. Really enjoyed the book up till that point, maybe the author for depression toward the end of writing this? 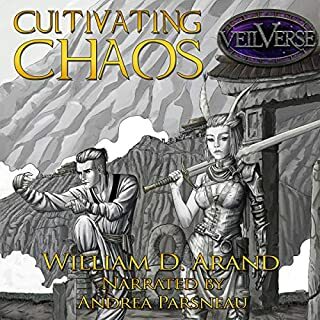 I usually don't like Author narrators but this author is actually good with the exception of the god villan . I hated the over the top way he was done. 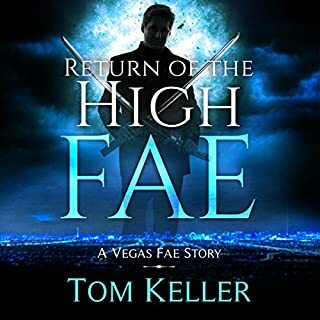 The story itself was very good and a fresh take on urban fantasy. It is well worth an audible credit. I recommend giving it a listen. Fast paced and enjoyable! A different twist and not the same ole same ole. Looking forward to more! I also think Josh should moonlight as a narrator for other books! 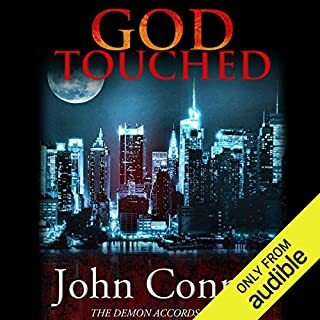 Just finished a book and the narrator drove me nuts with the monotone reading and bad monster sounds and I thought, this would of been so much better if Josh would of read it. Ok , let me start with I had no idea what I was getting into with this book . That’s not always a bad thing, I didn’t realize that the author is also the narrator. It’s a good thing cause I probably wouldn’t have bought it . I am very glad I did ! It’s a fun ride . I was expecting the tried ok overly tried hero stick . You know , shepherd/farmer chosen/ Prophecy meets wise old sage/master you all the tropes . That is not what I got . 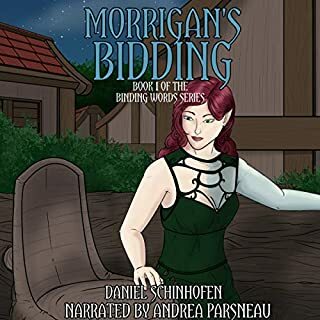 Too my delight this is better , refreshingly good story interesting an remarkably likable characters an a nonstop ride into a magical unseen world . Plus this world is full of possibly.. I Eagerly await the next step in the story! I have too give kudos to Josh Erikson not only did he create a great story with his written words . He brought it too life with an outstanding Audio performance , which is no easy thing. So if your like myself and love a good story , give this a try you won be disappointed. Ok that may not be the best description, but what I can tell you is, this was fun. I have been into “the Dresden files” “iron Druid” “ink heart” “Harry Potter” type books for a long time. This is now up there on my to recommend list. 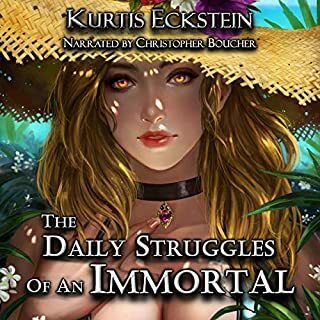 My biggest hope for this story is that the author keeps doing the audio books as he brings the story the color and emphasis that every part needs. Josh keep up the great work and I will be referring your books to friends! Great performance and great book. Can’t believe the author did both. It’s a great story and I am amazed that it convoluted and muddled with how how complex it became. Can’t wait for the new book in January. I cant wait to see where the story goes from here. This is truely something fresh and new to science fiction fans. I hope the author keeps to his word and keep cranking out these books without too much delay in between. I also love and admire an Author who narrates his own books. it's a sure fire way to make sure the listener hears the book the way it was ment to be. 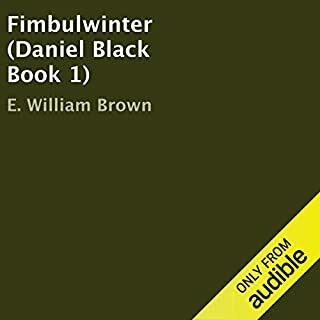 After listening to hundreds of audio books and never writing a review I felt like I should this time. 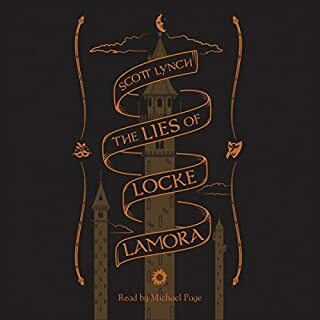 I thoroughly enjoyed this book, it has amazing characters, great pacing, as well as an interesting take on urban fantasy world building. The main character is interesting and can best be described as the lovable rouge who often finds himself way over his head. All in all I loved this book and can't wait for more. I really enjoyed this book. had a great plot and leaves great potential for the next book. the performance was really good as well. an all around good book. Hey this was pretty good! good performance and story. looking forward to book 2 . I hope the author fleshes out the world/ system a good bit more. interested to see the Vista when we get more than puzzle pieces. 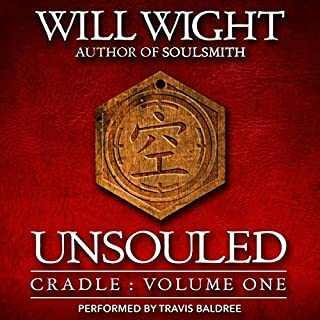 This book is one of the best ones I have listened to in while. It puts a new spin on things that I enjoyed greatly. Bit rough around the edges but overall very good. 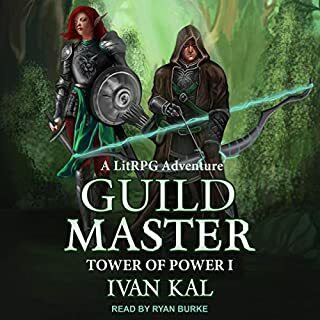 This was a very entertaining audio book, full of engaging characters and rich lore. It was well paced and had a plot that kept me gripped from beginning to end. There is lots of great tension building throughout, in which I was genuinely on the edge of my seat wanting the heros to succeed and I shared in their triumphs when they did. 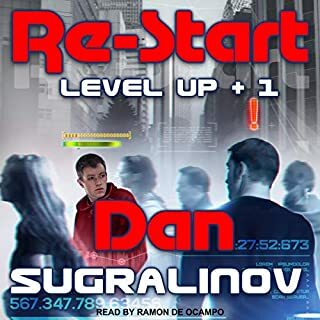 The author (and narrator) paint a vivid picture of the world that really helps to bring the characters and their actions to life in a very enjoyable way. The book falls down a little bit due to the protagonist escaping death one to many times due to dumb luck. He's a con man, I would have liked to have seen a bit more clever trickery in his escapes. Also feels that sometimes the characters make decisions based on what the plot needs them to do rather than through their personal characteristics. With the above being said through, it was still an extremely fun ride and I'm very much looking forward to the second book in the series! Josh blends the amateur energy of passion with a seriously adept story that's been polished to a mirror sheen. 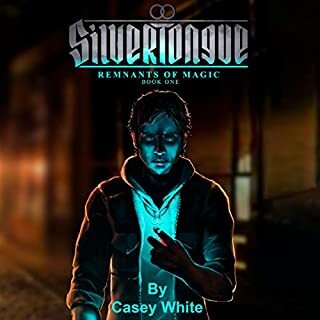 This urban fantasy novel brings together a lot of influences, and eagle eyes will spot notes from some particular 90s movies - but the resulting work is never derivative, and the author's good humor and humanity shines underneath. Well done. Really enjoyable and unusual fantasy story. Very good and unusual story with well thought out characters and good world development. 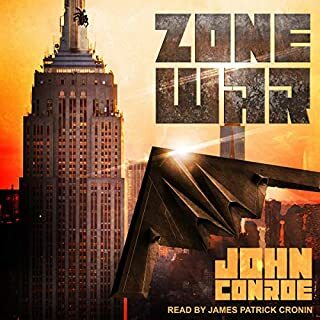 Really enjoyed the narration and cannot wait for the next book in the series. Often I findthe main character in these books to be painful to follow. This book had quite an interesting change in that regards. When's the next one out? This sucked me in by having a really fun sounding blurb and, for once, I felt like the story really lived up to what the blurb promised! The was a really fun UF. I felt like the author got the balance spot on between the darker aspects of the story and the humour. It also really helps that the main character, Gabriel, was a charming and likeable lead character so it was easy to get invested in his story as he got sucked into some crazy supernatural happenings. 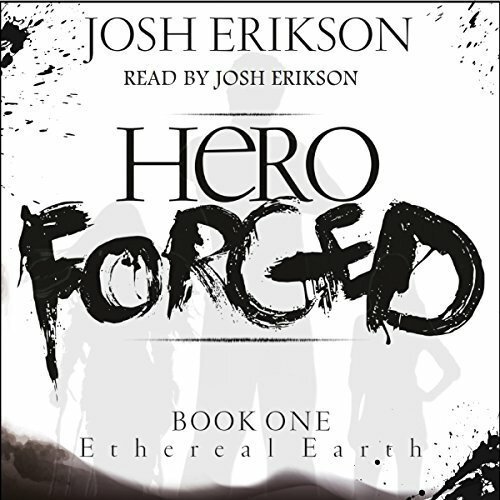 This was narrated by the author, Josh Erikson, himself. That is usually a big no no for me as most authors are TERRIBLE audio narrators. 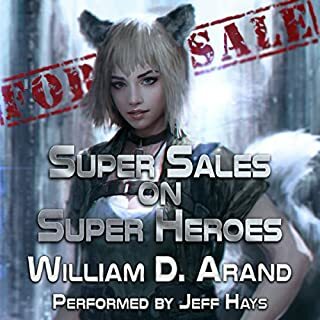 I took a chance on this one mostly because it had such a fun sounding blurb and because I got the audio for a bargain price. It turned out to be a great decision as Josh Erikson might just be the very best author/narrator I've encountered so far. He was not just tolerable but actually good and fairly talented! He did not have the typical deep baritone voice most professional male audio narrators have but he was clear-spoken and affable sounding. He was also good at dealing with both the character voices and the general narration. His voices were great for all the characters in the story and he had the ability to voice act and so could convey the correct emotions into the scenes he was reading. 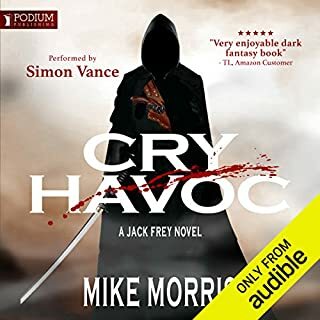 The best compliment I can pay him as an audio narrator is that if I spotted him narrating a book he had not written himself I'd still be happy to buy it safe in the knowledge the audio had excellent narration if nothing else! 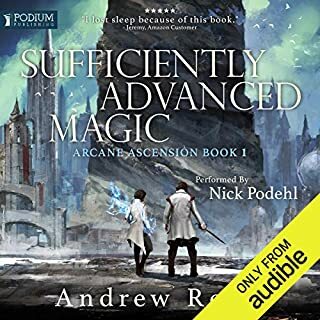 I'm rarely a fan of authors self narrating but in this case I do hope that Erikson sticks to narrating the rest of this series himself as he did a great job! Great book, great story and great narration. I was a little sceptical at first with this book as the author, being a first time novelist, had no prior titles to go on in terms of credibility but I'm glad I gave it a shot. Strongly anticipating the next book of the series.